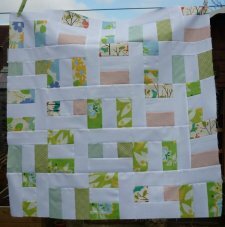 "This pattern is an excellent way to use up those extra jelly roll strips left over from other projects. The quilt is made up of two types of block which I will refer to as ‘H’ and ‘T’. "Finished quilt size is approx. 71.5” x 71.5”. 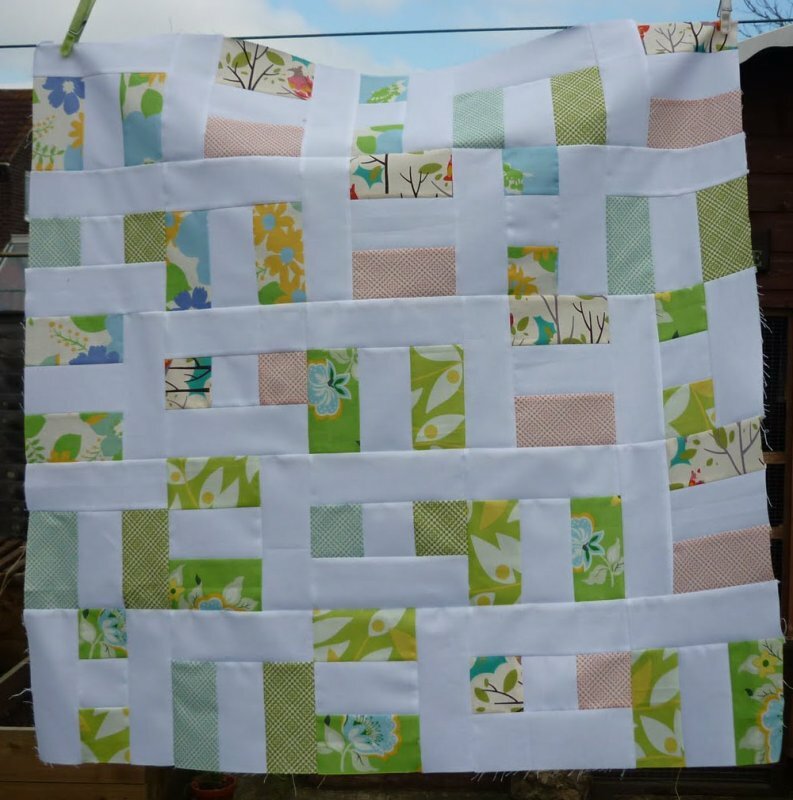 Due to the repeating nature of this pattern it is possible to make a smaller quilt or pillow cushion using the block layout included later. 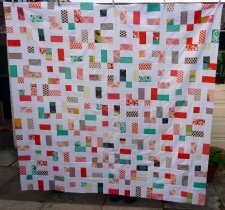 I have included photos of a small table cover and a placemat that I made using a smaller portion of the block layout. I’ve also tried reversing the placement of the print and solid with pleasing results. So go ahead, have fun with this super simple pattern."